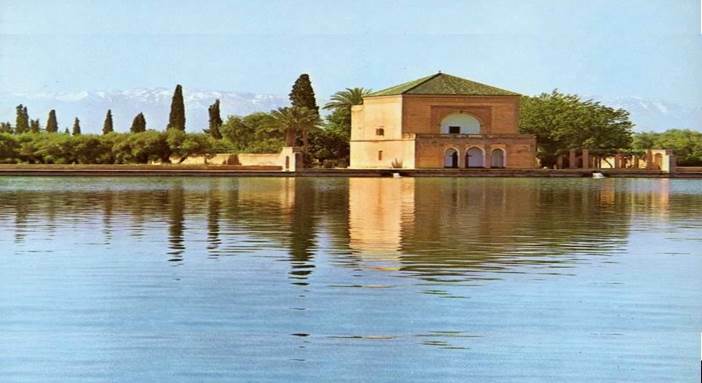 This year at the invitation of Moroccan authorities, and in partnership with the Global Institute for Water, Environment and Health (GIWEH), the INBO General Assembly will be held from the 30th of September to the 3rd of October 2019 in Marrakesh, Morocco. 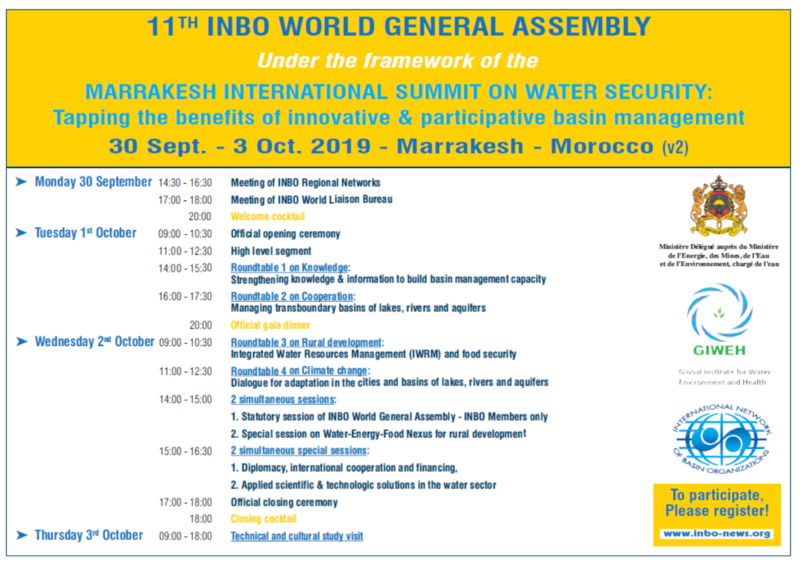 The INBO World General Assembly will be preceded by the meetings of the INBO World liaison bureau and of the regional networks of basin organizations, on Monday 30th of September (for INBO members only). A technical and cultural visit will be organized on Thursday 3rd of October in Marrakesh.